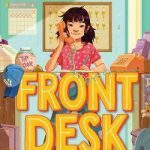 Booklist Announces 2018 Editors’ Choice – Books for Youth: Booklist magazine has posted its list of 2018 Books for Youth: www.booklistonline.com/Booklist-Editors-Choice-Books-for-Youth-2018/pid=9713597. See which ones you have in your library. Horn Book Fanfare Announced: Horn Book magazine’s editors and reviewers have selected their choices for the best children’s and young adult books for 2018. See the list here: www.hbook.com/2018/11/blogs/read-roger/horn-book-fanfare-2018/ .